Kolkata: Reiterating the values of quality and expertise, the world’s greenest cement company, Dalmia Cement (Bharat) Limited, a leader in the specialty cements space and the country’s largest producer of slag cement extended their growing brand portfolio by launching the Fine Blend Composite Cement, Dalmia FBC Cement, today, marking a new chapter in the composite cement manufacturing sphere in Eastern India. 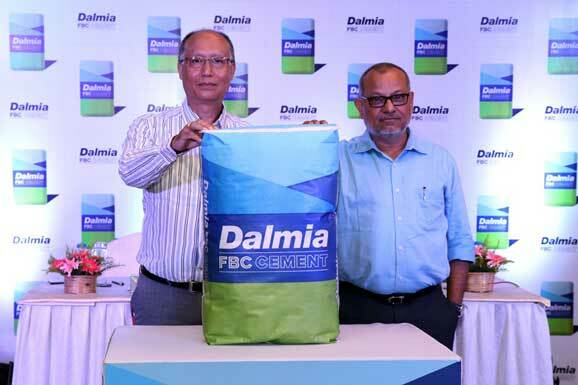 “Dalmia FBC” (Fine Blend Composite) is a premium quality cement and the perfect blend of Slag and Silica and comes with all the benefits of PSC (Portland Slag Cement) and PPC (Portland Pozzolona Cement). “Dalmia FBC”, is a Fine Blend Composite Cement that gives better coverage in every bag which leads to saving in overall construction cost. Now with lesser quantity of cement one can build more. The new brand was launched by Mr. B.K. Singh, Senior Executive Director, Group Marketing and Communications, Dalmia Bharat Group and Mr. Indrajit Chatterji, Executive Director Sales and Marketing (East) Dalmia Bharat Cement. Dalmia Cement (Bharat) Limited has been ranked globally no. 1 by the CDP (formerly Carbon Disclosure Project). Out of 13 cement majors across the globe, Dalmia Bharat ranked at the top in Cement Sector League. With over eight decades’ long presence in India, it is recognised as the lowest carbon footprint cement producer globally. Dalmia Cement (Bharat) Limited (DCBL) is the first cement Company across the globe to join RE 100 and EP 100 campaign. 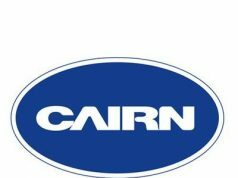 The Company has commissioned 8-megawatt captive solar PV and a 9.2 Megawatt Waste Heat Recovery (WHR) project is under commissioning in Eastern India. DBL produces one of the lowest carbon footprint cement globally (330 kg/ton of cement material) from their Eastern Plants. DCBL is also taking major steps on water conservation and harvesting. By reducing freshwater consumption in plants and building rainwater harvesting structures for local communities, Dalmia Cement developed about three times water harvesting potential as compared to total freshwater use. The company has further plans to replicate this success in its all cement plants to develop annual water harvesting potential of five times to its annual consumption by 2020.